It’s only right that, having reluctantly joined the ranks of those who thought Fareed Zakaria might actually be a plagiarist, I now join the ranks of those who accept Time‘s and CNN’s conclusion that he is not. They reviewed the alleged plagiarism in the gun control articles he did for them earlier this month, decided that the lapse was unintentional, and will reinstate him by the end of the month. A subsequent accusation of plagiarism by the Washington Post was proven to be carelessly researched and unfounded, and was withdrawn. We have completed a thorough review of each of Fareed Zakaria’s columns for TIME, and we are entirely satisfied that the language in question in his recent column was an unintentional error and an isolated incident for which he has apologized. We look forward to having Fareed’s thoughtful and important voice back in the magazine with his next column in the issue that comes out on September 7. 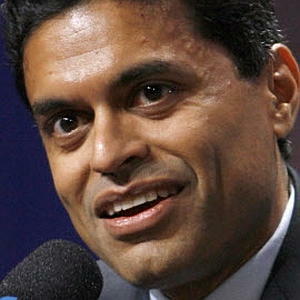 CNN announced that it, too, has cleared Zakaria and he will return on August 26. The debate over exactly what constitutes plagiarism goes on. As I noted in my previous post, there is nothing new under the sun. Two writers, researching the same history, might well present names and dates in a similar fashion. Two writers quoting the same speaker might well get their direct quote from different sources, but the quote itself will be the same. There’s a large gray area in which attribution might or might not be required or expected. Expectations, standards, and media are constantly evolving and lack uniformity. I’m sorry Zakaria ran afoul of it. Intentionally or otherwise. Perhaps this incident will lead to more careful consideration in the future before charges of plagiarism are leveled at a respected journalist. I’m glad he’s back, but the two quotes were just too similar overall. Like you said, of course when quoting someone, that quote will be the same. But the preface to the quote was just too much alike. If “everybody does it,” we are in seriously bad shape. Zakaria’s writings on India, Indian culture and politics are very informed in my opinion. His political opinions, on the other hand, aren’t — again… in my opinion. Knowing very little about India and its culture, I’m in no position to judge his opinions about them. In fact, I’m not sure I’ve ever heard him talk about India.